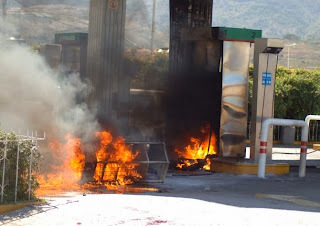 La politica es la politica: A gas station attendant becomes a Mexican hero: but who killed him? A gas station attendant becomes a Mexican hero: but who killed him? You can learn a lot about a country by looking at its heroes. In Mexico, national heroes fall into the same category as national villains: almost to a person they are male, and they are warriors and politicians. The villains are pretty easy: Marina (or “La Malinche”), an indigenous woman who betrayed her people by assisting the conquistador Hernan Cortes; Miguel de la Grua Talamanca, viceroy of New Spain in the late 18th century, and one of the most corrupt Spanish officials in the history of the new world; Santa Anna, who not only overturned the early republic but also lost much of it to the United States; Pofirio Diaz, a dictator who, despite modernizing Mexico, committed the social and political abuses that led to the bloody Mexican Revolution; Gustavo Diaz Ordaz, who was president during the 1968 Tlatelolco massacre and subsequent cover-up; and Carlos Salinas de Gortari, the inept and possibly corrupt president from 1988 – 1994. There are many others, but you get the picture: corruption, betrayal, incompetence. On the other side of the ledger we have the heroes: Miguel Hidalgo – the priest who launched the war for independence and was subsequently executed; Los Niños Héroes de Chapultepec – these were six teenage cadets who died fighting rather than retreat during the Mexican American War; and Emiliano Zapata Salazar – a mestizo who fought for land and liberty "tierra y libertad" during the Mexican Revolution, and has become a symbol for the struggles of the poor and disenfranchised ever since. Here we have the flip side: honest brave warriors fighting for a good cause. But what has become of the Mexican hero today? The first thing to understand is that the individual must be completely depoliticized. 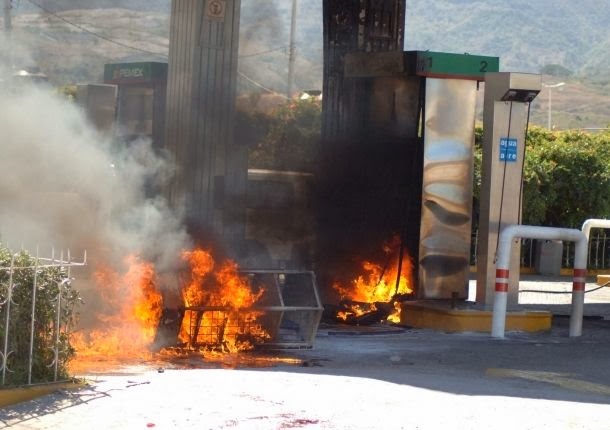 As a result, the two students shot by police on the Autopista del Sol – the highway that connects Acapulco to Mexico City – near Chilpancingo, the state capital of Guerrero, in December 12th, are not heroes. The reason is simple enough. The students attended Raúl Isidro Burgos, a “normal school” (teacher’s college) that belongs to the Federación de Estudiantes Campesinos Socialistas de México. They belong to a tradition that clearly follows Emiliano Zapata’s ideals, but that is too disruptive to the social order. 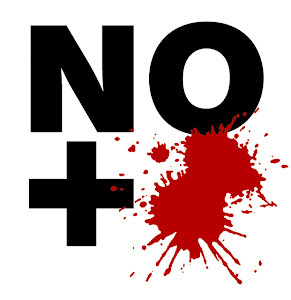 So, while the public may retreat in horror at the shootings, the students, who were participating in a demonstration to protest administrative and educational issues at their school, are not understood to be heroes. They are simply victims who may even be inadvertently responsible for their own death. Worse, they could be murderers. This is where the modern-day, depoliticized, made-for-television hero narrative enters in contemporary Mexico, because there was a third death due to the events on December 12th. His name was Gonzalo Rivas Camara, and he was a gas station attendant. Mr. Rivas Camara, aged 48, died nineteen days after sustaining third degree burns when trying to put out a fire that started at a gas station along the side of the highway during the student demonstration. Eyewitnesses have reported seeing students igniting the station. The students have denied the accusations. In fact, they are ramping up the pressure on the government to determine who shot their friends and who really started the fire. Station manager Alejandro Montealegre, as well as other eyewitnesses, claim to have seen two men with T-shirts bearing the name of the teachers' college set the pumps afire with jugs of gasoline. It was only because Rivas Camara closed off valves that fed the burning pumps that the entire station didn’t explode in a massive fireball. This is an interesting account, and falls in line with agitprop tactics commonly used to extend blame to a targeted group. Two questions need to be asked: Were any other students at the demonstration wearing T-shirts that bore the college’s name? And, given the number of eyewitnesses and the wealth of photographic and video evidence, why have the two students not yet been identified? If we know the students did it, and we have eyewitnesses, then we go through the school roster and find the culprits. They should be easy to find, too, because they aren’t that bright: they chose to set a gas station on fire while both wore T-shirts identifying them as students. As anyone who wants to commit a crime and lay the blame on someone else knows, it is important to be seen and identified as a member of the other group. The problem, you see, is that the police opened fire after the gas station was set alight. If the station was in fact set on fire by agents provocateurs, with the police then using that as a pretext to shoot at the students, they would then be guilty of all three deaths. Suddenly, the hero narrative for Mr. Rivas Camara becomes more complex. Yes, he valiantly tried to put out a fire that could have led to a massive explosion, thus losing his life and saving others, but now he is placed on the other side of the ideological ledger: he is saving innocent lives from a reckless police action, and not some uppity and criminally irresponsible leftists. As it stands, the hero narrative remains intact. Mr. Rivas Camara, a former member of the Mexican Navy, and a computer systems engineer, succumbed to his injuries in a Mexico City hospital, and was honoured at a ceremony at Eva II, the gas station where the events occurred, as well as at an official event held in Chilpancingo’s main square, the Alameda “Granados Maldonado”, which was attended by governor Angel Aguirre Rivero of the centre-left Partido de la Revolución Democrática (PRD). Mr. Rivas Camara’s remains were returned to his home town of Veracruz, on the Gulf of Mexico, and given a well-deserved hero’s welcome at the State House gardens, or Panteón Jardines, as well as at the Naval Funeral Home. There, family members called on the students who were allegedly involved in the fire to attend to their studies. “For my part, my family does not know what to say to the students,” said Mr. Rivas Camara’s brother, Ivan. “We only recommend and urge them to devote themselves to study, and not to cause more problems for the good of the state and country." It is entirely possible that some reckless students set the gas station of fire. But if they didn’t, let’s see if Mexican society can turn this hero narrative around.